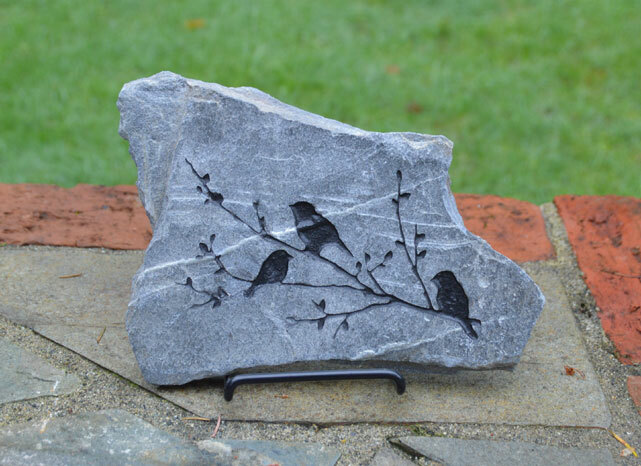 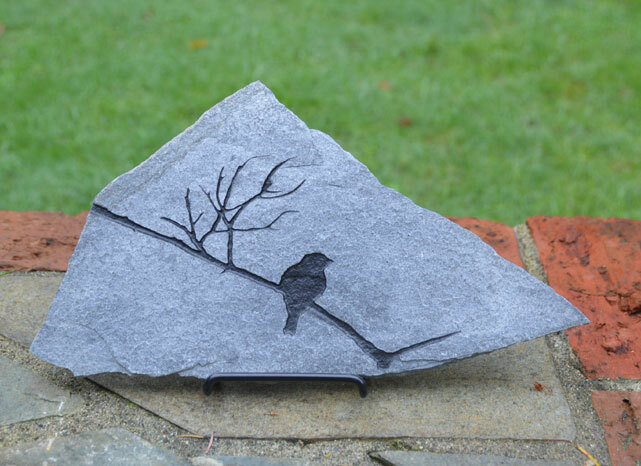 Slate is readily available on Vancouver Island and is a good choice if you are wanting a garden feature that is not too heavy. 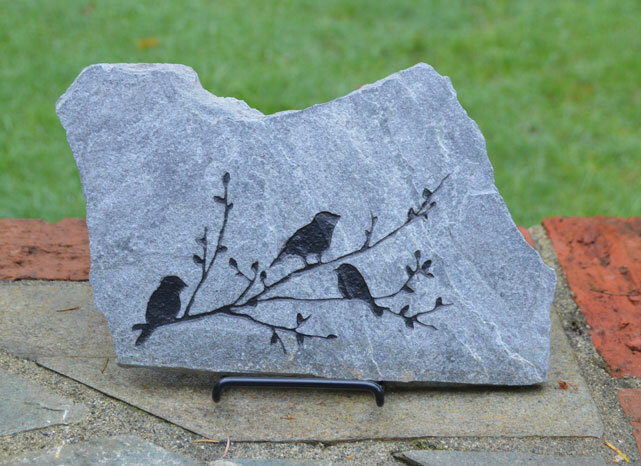 It is usually very thin and can be found in large slabs allowing more surface area for the design without the weight of other stones. 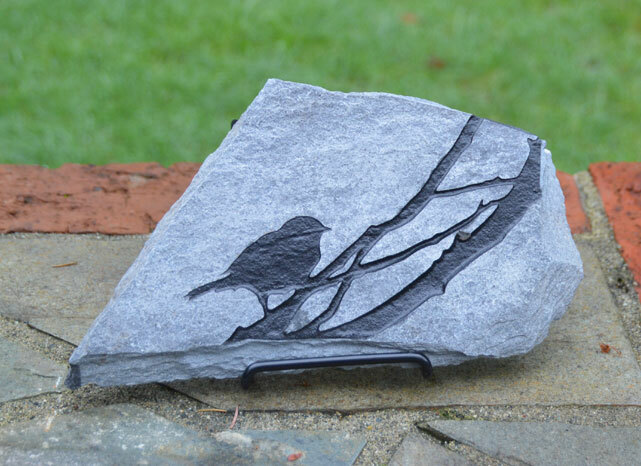 Because of this same thinness there is more danger of the stone breaking so should be handled carefully. 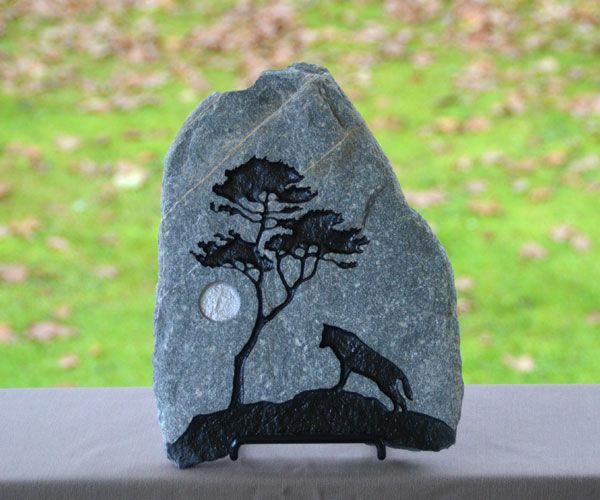 Below are a few examples of designs you might find at our booth at craft fairs. 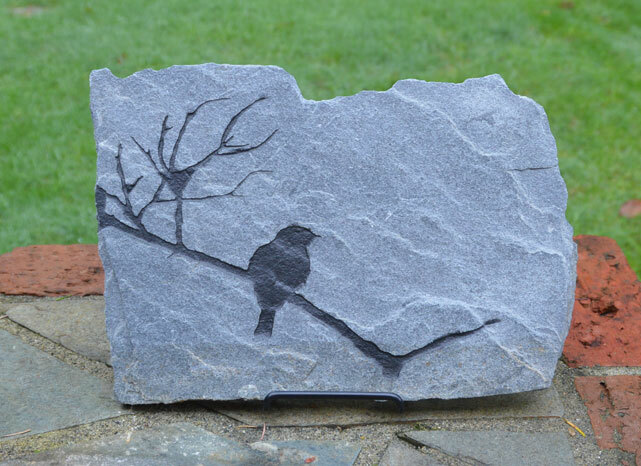 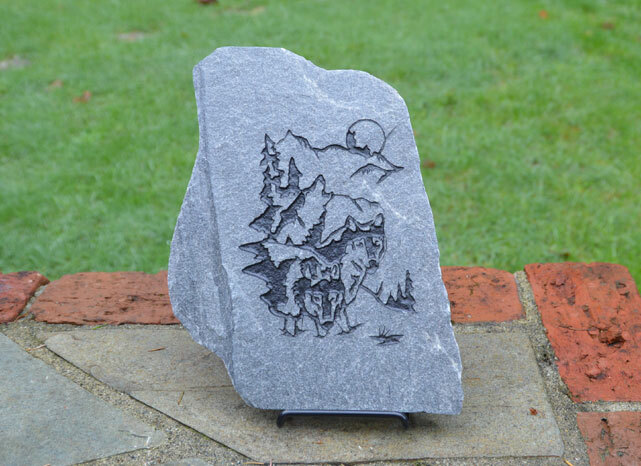 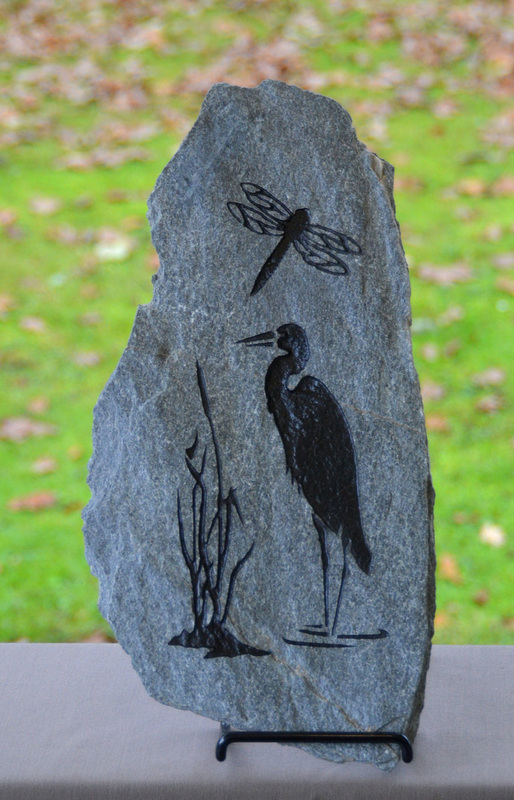 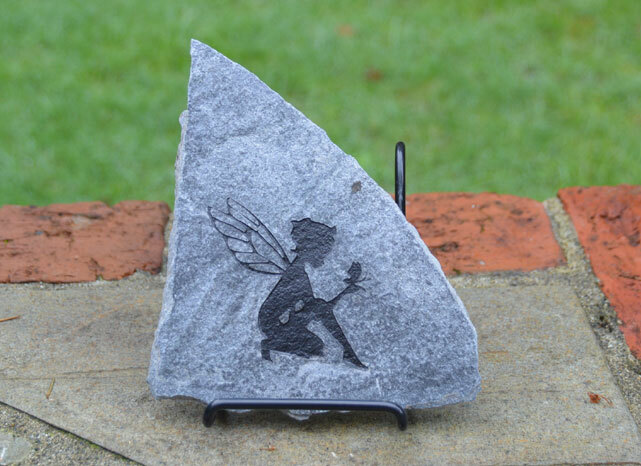 We have a large selection of both natural and tumbled slate to choose from, and we would be happy to work with you to create a custom design for your home or garden.